Looking for a Drug Rehab or Alcohol Rehab Facility in Maine? 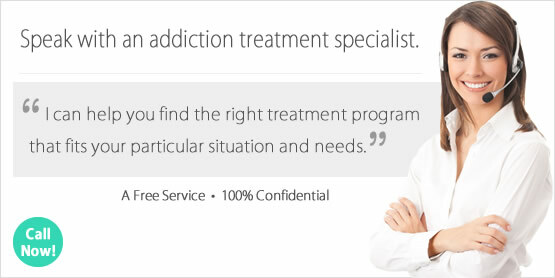 Drug Rehab in Maine can help anyone who is willing to fully invest themselves in the process of rehabilitation. Sometimes, getting individuals to the point where they are willing to even go to rehab can be a challenge. In these instances, loved ones can help convince an individual that drug rehab is the right way to go by holding a drug intervention. If this is the next step, speak with a drug treatment counselor in Maine who can help get one started. When someone is ready for rehab, it is important that they get into the right drug rehab program in Maine. So this would be the most important part of the decision, because being the drug rehab program in Maine which is most appropriate for one's circumstances can make or break the treatment process. So speak with a drug treatment counselor today in Maine to help make these decisions easier and to start the rehab process for yourself or someone you care about. In a single-day count in 2013, 11,373 individuals in Maine were enrolled in some type of substance use treatment, which was an increase from 9,553 individuals in 2009. Among individuals in Maine enrolled in substance use treatment in a single-day count in 2013, 47.6% were in treatment for drug use only, 13.6% were in treatment for alcohol use only, and 38.8% were in treatment for both drug and alcohol use. Astoundingly, nearly 55% of treatment admissions were there for a heroin addiction. There is no substance that comes even close to the level of abuse that Maine residents have experienced with heroin in recent years. Alcohol abuse and poly-drug abuse involving alcohol is the 2nd biggest problem in the state of Maine. In Maine, about 70,000 individuals aged 12 or older are dependent on or have abused alcohol within the past year. Unfortunately, over 91% of these residents didn't get treatment for their problem last year. So the first solution to the problem is to get individuals into treatment that need it, and into the best program for them. Because alcohol can be part of a bigger poly-drug use problem and often is among Maine residents, it must be as comprehensive as possible to be effective. AA and similar 12-step treatment models may not even put a dent in someone's alcohol problem if they need more intensive treatment and treatment which is particularly aimed at resolving their personal challenges and alcohol triggers. So again, for individuals with more pronounced alcohol and poly-drug abuse problems an intensive treatment program in an inpatient or residential facility in Maine is the best option. In response to the heroin epidemic in Maine, the state has responded by providing opiate dependent residents with many clinics that administer prescription opiates so they can stop drug seeking behavior. The 71 outpatient methadone and buprenorphine clinics in Maine administer these drugs legally, every day, to nearly 18,000 opiate dependent clients. There are 122 other outpatient treatment programs which don't provide opiate maintenance services, 120 residential non-hospital programs, and 28 hospital inpatient programs as well in Maine. The problem with choosing the route of opiate maintenance is that these facilities don't typically deliver any actual treatment beyond the drugs they administer which works only to curb withdrawal and stop cravings. So for individuals who don't want their daily lives to revolve around this drug regiment, there are individuals who have successfully abstained from opiates without the use of drugs. For individuals who want an effective alternative, speaking with a drug counselor at an inpatient or residential drug rehab in the state who can point you in the right direction. What does Inpatient Rehab in Maine Involve? Inpatient and residential non-hospital treatment in Maine is drug and alcohol free, provides a robust support system around the clock, and is the most structured and appropriate treatment environment for individuals who have struggled with serious drug abuse problems. These facilities are also prepared to provide a much more comprehensive approach to treatment that will not be available in an outpatient setting, and clients aren't as prone to setbacks and relapse because of the nature of the environment they are in. Client take part in activities daily that can be tailored for them specifically, and their progress monitored so that any adjustments can be made to help make their experienced as successful and productive as possible. There are both short and long term programs available, and activities in inpatient treatment in Maine can include individual therapy and counseling, group substance abuse counseling, cognitive behavioral therapy, motivational coaching, and other conditional steps including diagnosis and treatment of co-occurring mental health disorders for dual-diagnosis clients. What does Outpatient Rehab in Maine Involve? There are many programs in Maine which deliver outpatient treatment, but some are more intensive than others. In the least intensive outpatient settings in Maine, individuals can expect to take part in counseling sessions one day per week. Some of these programs offer group and individual counseling services, much like AA or similar 12-step models. And in fact most of the drug rehab programs in Maine operate off of some version of 12-step. More aggressive intervention is necessary when someone has experienced a chronic drug or alcohol problem, and there are more intensive outpatient programs in Maine including day treatment/partial hospitalization facilities which provide the next level of treatment for individuals who need more attention. However, if minimal outpatient services and outpatient services in general aren't proving effective individuals may want to consider a more aggressive approach in an inpatient or residential facility in the state.